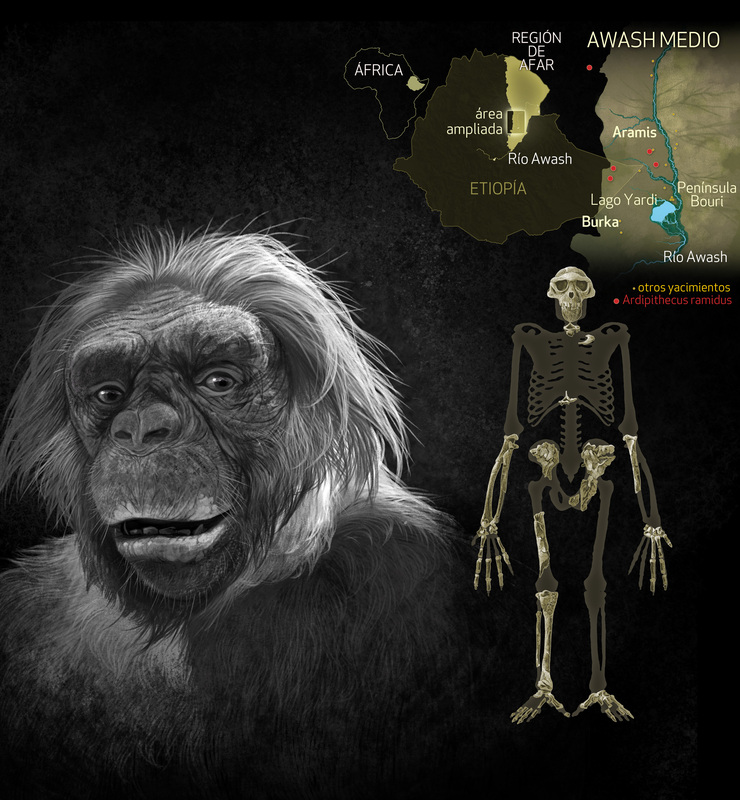 Ardipithecus ramidus, Quo Brain Special Edition. 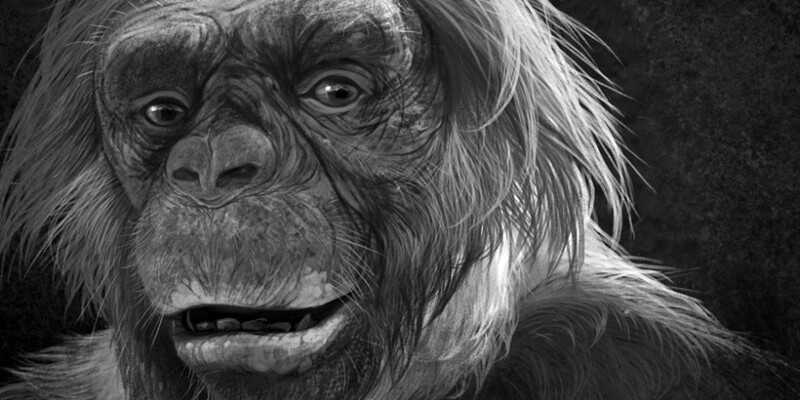 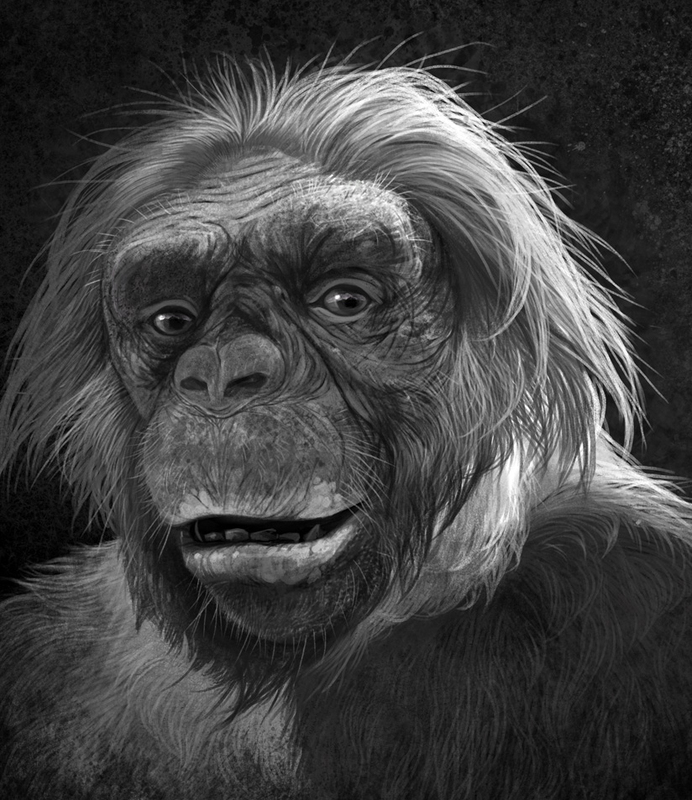 Facial reconstruction of Ardipithecus ramidus, probably the first member of the human lianeage for the “Brain Special Edition” of Quo magazine. 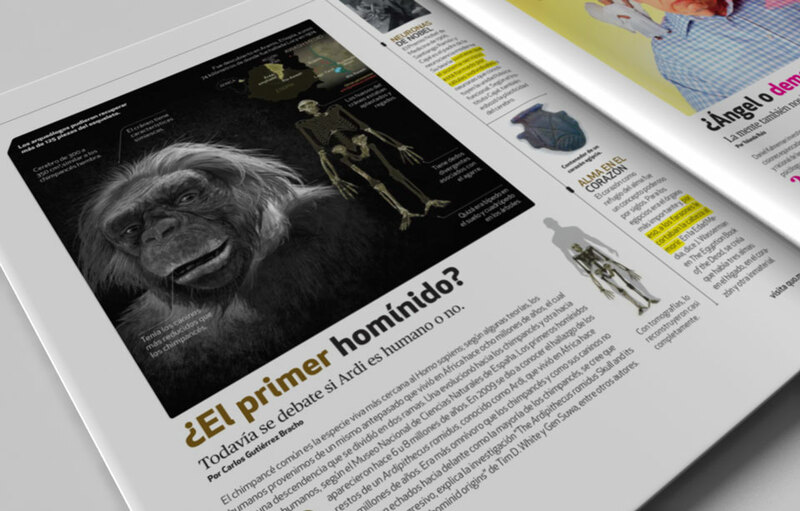 Page in the Brain Special Edition of Quo Magazine.